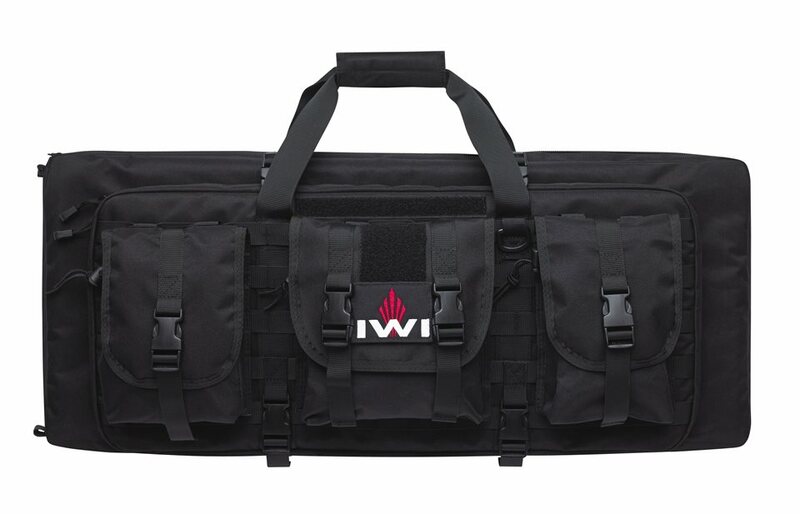 IWI Tavor Complete Case Black 32"
Two large heavily cushioned and secured compartments hold both your Tavor® SAR and 9 mm Conversion Kit in one case. Molle compatible webbing on the exterior of the case comes standard with three gusseted pouches lined with water resistant interiors. 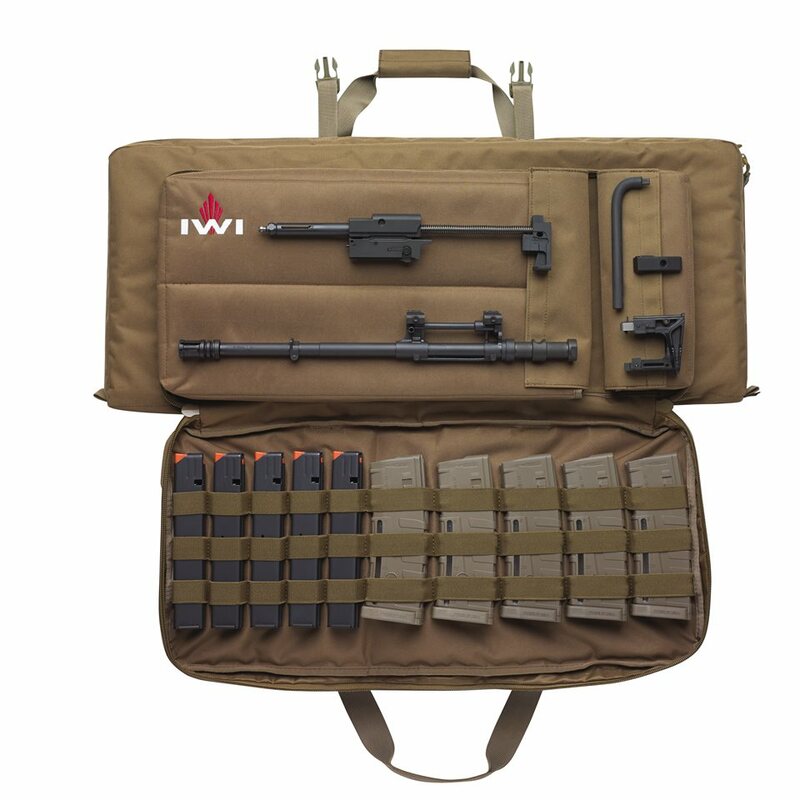 Elastic webbing on the interior, opposite the conversion kit compartments, holds up to five 30 round 5.56 NATO magazines and five 32 round 9 mm magazines. 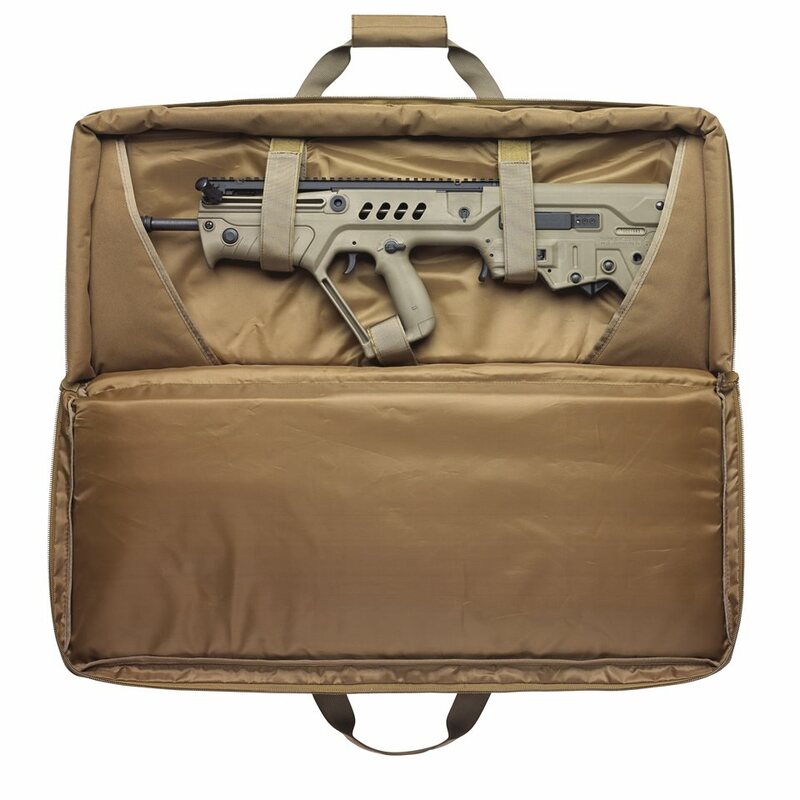 Outside dimensions: 30.5" x 13" x 5"
Inside pocket for the Tavor® SAR: 28"
Dimensions 30.5" x 13" x 5"